Recently back from visiting the kids and Firefly staff, I am thrilled to report the overall good health of our Fireflies. 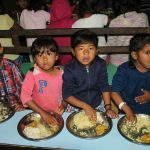 In the past year I have made an effort to focus funds on nutrition – getting enough good food into these growing kids – and it has made a difference! We have had several children with medical needs; ear operation, a broken arm, epilepsy diagnosis plus minor grazes that come hand in hand with childhood. But as a bunch of recent sponsors have commented; the kids are disciplined, happy and loved. 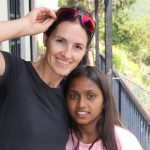 Our house mother, Shanti, who has done such a wonderful job running the home, has now left for family reasons. She will be missed greatly by all. During my visit I was able to interview possible candidates for the job. We have found a lovely young social worker who has started on a trial basis. I will introduce her soon. 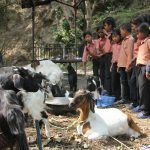 The Nepali school year has just begun and many of the older children are buoyed going into a new year especially on the back of such great results from the previous year. Ashish achieved top in two of his subjects amongst students from 40 schools in Kathmandu. He is one of many who are so hard-working and clever. I’m very proud of our Fireflies and the opportunity your sponsorship has given them. 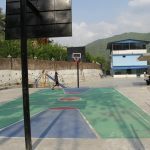 Our boys are utilizing the new basketball court daily and the older boys are often cutting down bamboo and creating things. Tom, our long-term volunteer from Luxembourg, has been a great inspiration and help to our young men. Tom is on a five-month contract and is always seen with his sleeves rolled up getting involved and pitching in. Living in a children’s home is no mean feat. We’re super pleased to have Tom in our home. Our next volunteer is Clara from France. We look forward to seeing her in action. Our girls are proficient with their knitting, crocheting and crafts. When not at school or studying, they spend time making blankets for the home, bags and other useful items. At the moment the craze is to make dream catchers with wool donated by a lovely volunteer. Thanks for “Days4Girls NZ” I was able to gift sanitary kits to the 20 teenage girls in our home. These packs enable the young women to participate in life every day of the month. Our gardens are looking great. 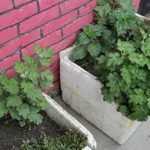 With donated seedlings, the children have planted herbs and veggies; spinach, pumpkin, kale, coriander, spring onion, peas and more which are utilized in cooking. The orchard, planted four years ago, is also producing seasonal fruit; peaches, oranges, apples and mangoes. 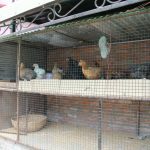 With chickens producing eggs and our goats providing milk, we are doing well towards our goal of sustainability. Obviously we rely on bought food too as there are over 100 mouths to feed! As always I filled my suitcases to the brim with donated goods for our home. The children enjoyed the books, puzzles, games and clothes. They love the stimulation and surprise me with their ability to pick up games so quickly. They were also delighted to receive letters! A bunch of children in New Zealand wrote letters to individual Fireflies and included photos and information about their lives. I’ll be delivering the replies. You cannot imagine how special our Fireflies felt on reading these letters from kids on the other side of the world. Such a joy to be made to feel so special. Thank you also to Yolande and Etienne, young sponsors who initiated a similar project with their class mates in Italy. Please welcome Nikita – a lively young social worker based in our Kathmandu head office who has joined our team to update Facebook and co-ordinate profile information for the children. As our Fireflies enter college examinations, we require birthdates many of which we don’t have. So Nikita has the job of acquiring this information and compiling detailed profiles so these children do indeed exist in the system. I truly appreciate her diligence and dedication. A lot of this information and future news will be posted on Facebook regularly. 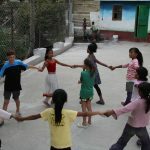 You do not need to be on Facebook to access these posts – go to www.facebook.com/FireflyChildrensHome However, I will continue to post website updates every 3 months should you miss the Facebook posts. So you won’t miss out! Feel free to ask me any questions about our home or your sponsored child. I’m also free to give fundraising talks to your community or organization. I have had people approach me in the past about organizing a fundraising event (both children and adults). I’m happy to endorse these events as we always need more funds to cover the general running costs as well as the medical events for the children.